Rose Ellen Dix and Rosie Spaughton are setting themselves up for a busy autumn. The British couple, whose videos have brought more than 763,000 subscribers to their Rose and Rosie YouTube channel, recently released a vlog in which they made three related announcements. In October, they will release a book called Overshare, premiere a documentary film of the same name, and support both those pieces of media with a tour of the British Isles. The book, which takes its name from its authors’ penchant for revealing the details of their lives, will be released on October 4. 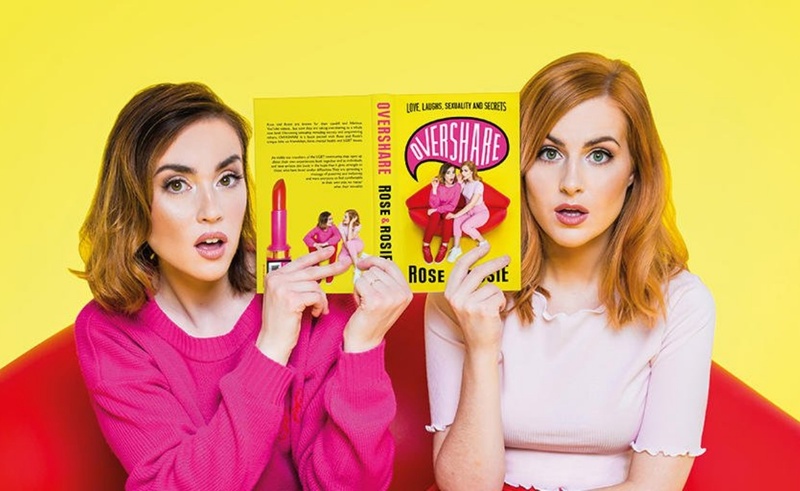 It will be, according to its Amazon description, “packed with Rose and Rosie’s unique take on friendships, fame, mental health and LGBT issues.” In announcing the book, the power couple said they have spent a year writing it while reassuring fans that they themselves penned its words. To drum up excitement for these two projects, Rose and Rosie will embark on a 13-city tour, which will begin in London on October 11 and conclude in Exeter on October 29. At each date, the two YouTubers will screen their film, take questions from attendees, and sign copies of their book. Tickets for the tour will go on sale on June 5 and can be purchased via this link.